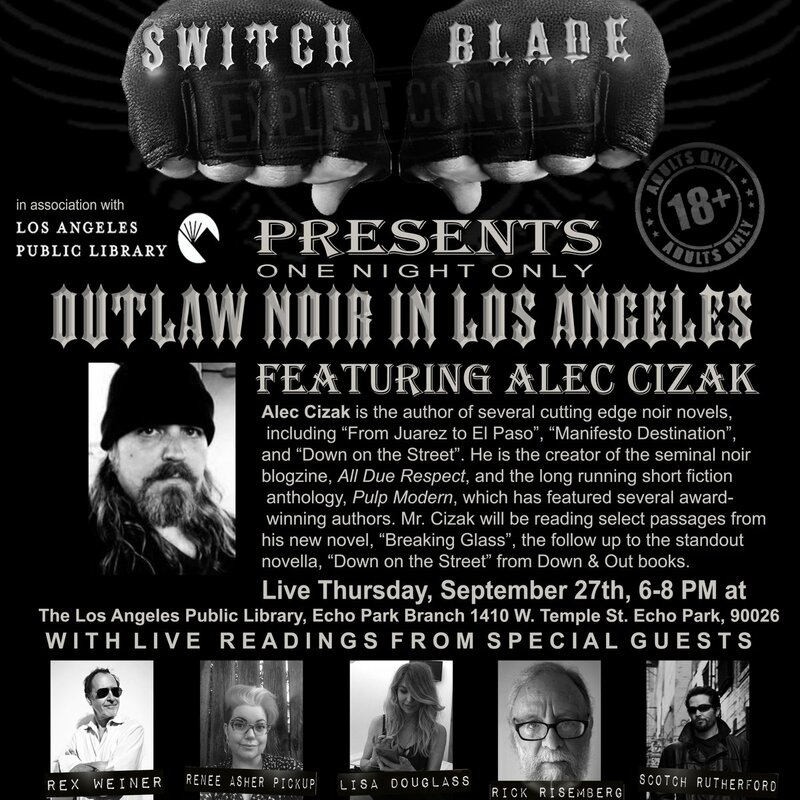 If you will be in Los Angeles on Thursday, September 27th, come to the Echo Park branch library for a night of live noir readings featuring Alec Cizak, who is making an all-too-brief visit to town. Headliner Alec is, among other things, the publisher of Pulp Modern, founder of All Due Respect, and author of several hard-hitting novels. But he’s not all that’s on offer: local noir wordsmiths Rex Weiner (author of Ford Fairlane), Renee Asher Pickup, Lisa Douglass, Scotch Rutherford, and Rick Risemberg (that’s me), will also be onstage. There will be a Q&A afterwards for the particularly brave.